Welcome to 691 McKinley Ave Akron, OH! 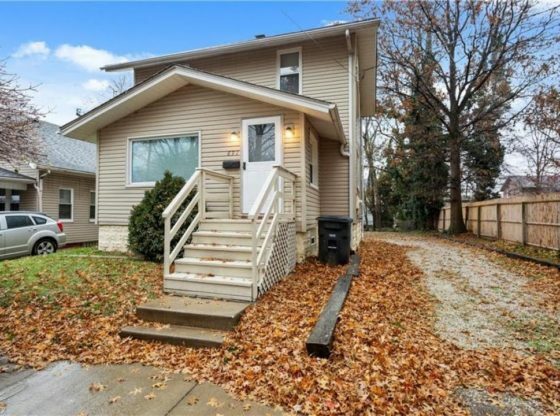 This home features close to 1,300 sqft of living space with 3 bedrooms and 1 full bathroom. This home has been completely redone from top to bottom and is move in ready. You will love the brand new kitchen, bathroom, and the additional living space in the front of the home. This home is also located on an extremely quiet street which dead ends into a one-way street for those looking for little traffic. Some of the main updates include the brand new front porch, cabinets, countertops, carpet, plus the newer windows, roof, siding, and much more. If you are looking for the perfect home for you or your family this is it! Schedule your private showing today so you can make 691 McKinley Ave in Akron, OH your new home! For more information about this property, please contact Dustin Purtan at 1-800-477-3519 or [email protected] You can also text 5295533 to 67299.